Arrowtown is the best departure point for many renowned Queenstown walking trails. 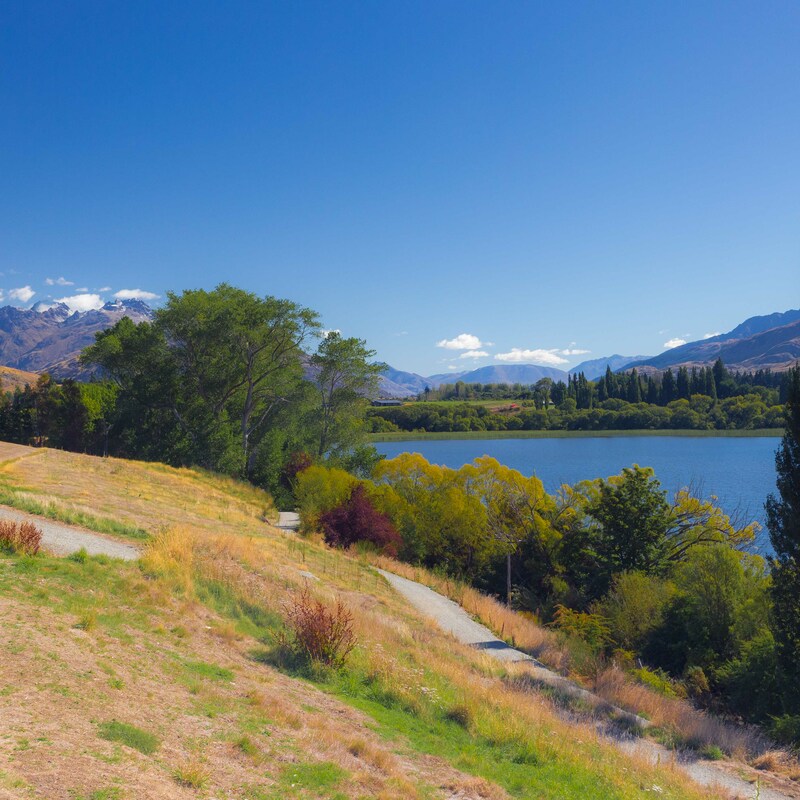 Arrowtown’s trails are famous – fifteen listed walks past mountains, rivers, forests, and lakes. Easy one hour strolls, and treks of several days in Lord of the Rings country. The Arrowtown trail network is linked to the Mahu Whenua trails, created as part of the donation of land to the Queen Elizabeth II Trust. New tracks will provide for a range of recreation activities on Glencoe and Coronet Peak stations and will also link up with sections of the Te Araroa trail that passes through Motatapu and Mount Soho stations. Get your maps from the Museum.